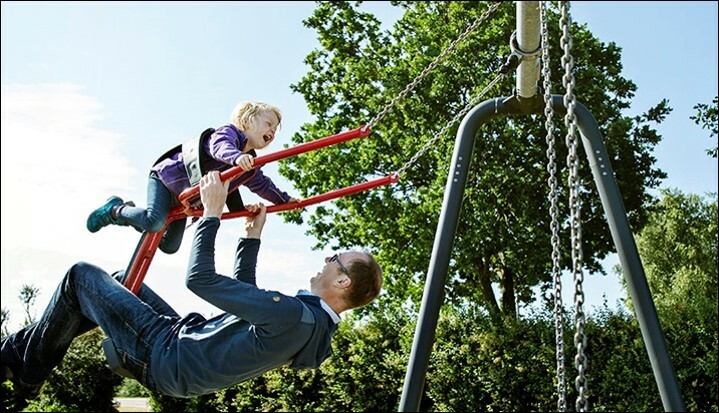 The You&Me Swing Seat will add hours of common joy to family life: parents and children swinging together, teachers and students, older siblings and younger ones, all sharing the floating feel of swinging high. 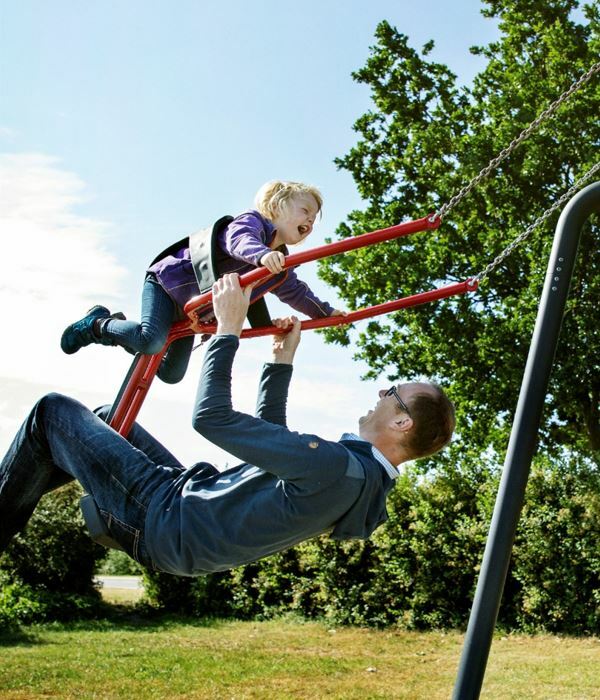 The swinging movement, apart from being great fun, trains toddlers’ vestibular system, their sense of balance and space. The seated position trains the core muscles. 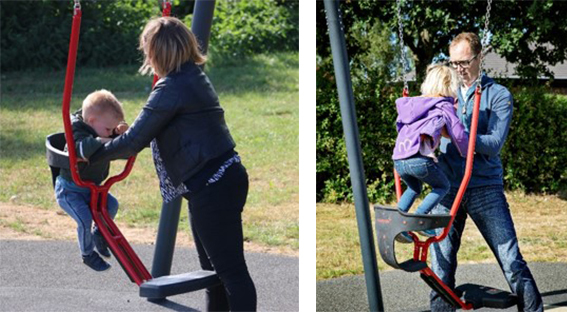 The new swing seat is aimed at 1-4 years age group. It is center positioned with one-chain allowing easy access to both seats while the seat is help steady in it’s natural equilibrium position. The toddler seat has big holes for the legs to support easy access and egress for the child and the adult alike. 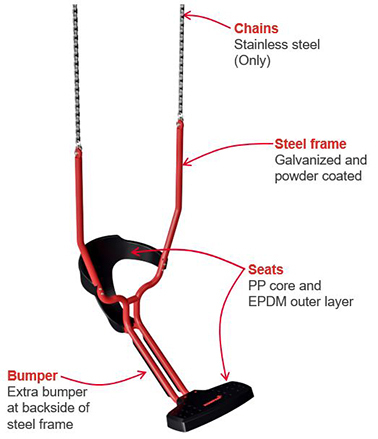 The wide front grips prevent the seat from tilting forwards with the child. These features add to the feeling of security of the child – and of the adult. 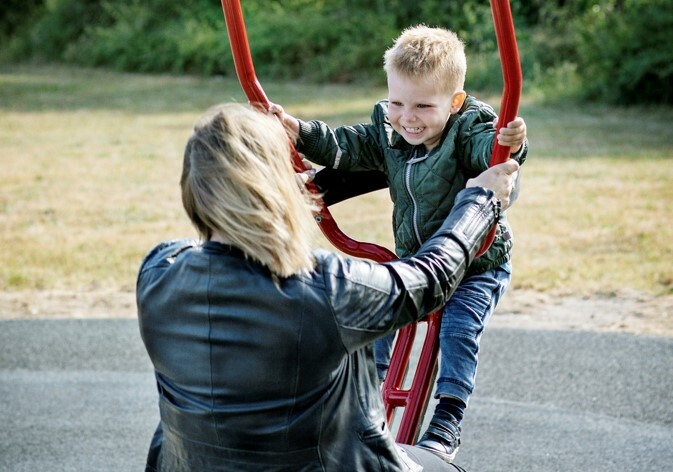 With the adult seated, the child will get a rare chance of eye-to-eye swinging and viewing the adult from varied angels when swinging. 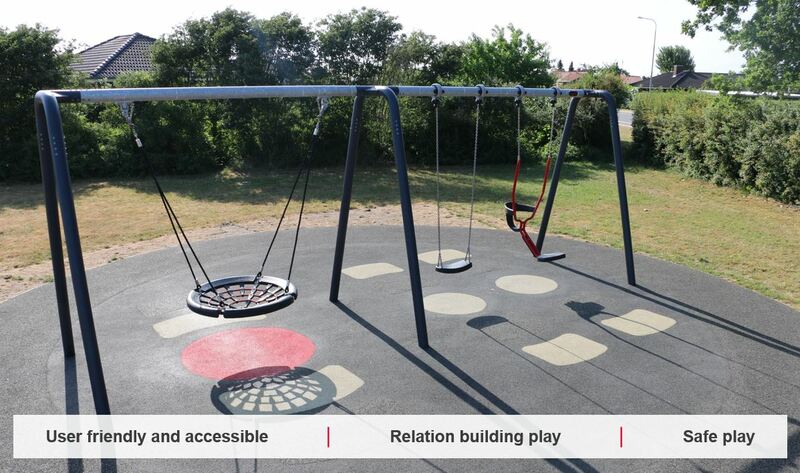 For the social-emotional bonding, this swing is unique. If you’d like to learn more about KOMPAN You&Me Swing Seat, we will be delighted to share more information with you too.